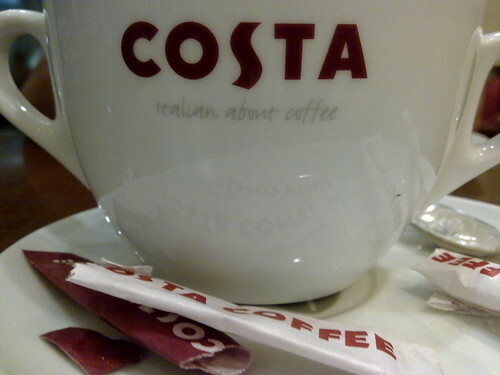 Costa Coffee, originally uploaded by amulya. Big big big mugs. Perfect to hold on a cold day.